USB condenser microphone with a built-in audio interface with 16-bit/48 kHz resolution and mixer that allows for simultaneous stereo input and gain control of vocals and guitar, bass or keyboard while also providing switchable stereo, mono and computer monitoring through an on-board headphone output. It features large, 19 mm diaphragm configured in a supercardioid polar pattern to provide smooth, flat frequency response of 20 Hz-16 kHz; Volume, Instrument and Mic level controls; Input and Direct Monitor switches; and dual colour Power/Clip LED. Microphone can be plugged directly into any PC or Mac computer with a USB input and does not require any drivers. It is also compatible with any DAW software program, and it comes with Cakewalk Sonar LE music production software. Microphone is equipped with 1/8” stereo input for mono instruments and stereo line level devices, 1/8” stereo headphone jack for non-latency monitoring, and solid, die-cast construction with heavy gauge mesh grill. Desktop stand, microphone clip and complete cable set (guitar cable, headphone extension, stereo line with RCA adapters and USB cable) are included. Silver colour. 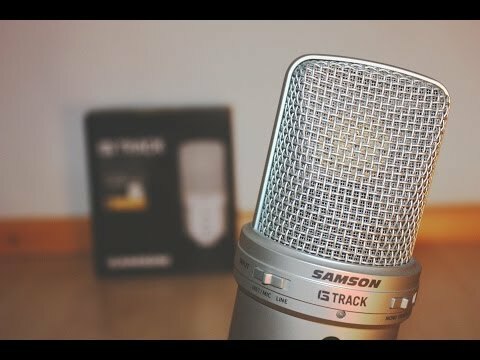 Do you own Samson G TRACK USB Condenser Microphone or have you had a chance to try it?